The Biggest soccer publication in Africa! The leader in the latest local and international soccer news — Vodacom NXT LVL Wrap-up! The Vodacom NXT LVL campaign has come and gone. 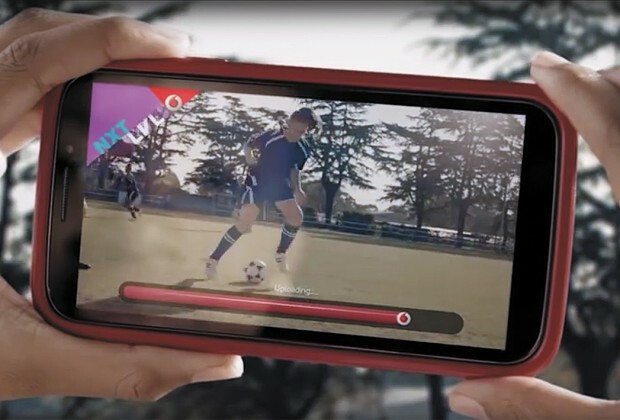 From thousands of videos sent through, to a final 16 taking the title and winning a Tuks Sports High School scholarship, this initiative by Vodacom has been a success as it has paved a way for future South African footballers. The youngsters’ dreams are on the verge of becoming a reality and there promises to be a bright future for all in the football fraternity. 16 Team Fish players win scholarships! The top 32 were chosen and halved into two teams coached by Lucas Radebe and Mark Fish. With 16 players in each team, it was a fierce encounter and both sides showcased their best performances on the day. However, there was only place for one winner and Team Fish were head and shoulders above their opponents, meaning they were afforded the opportunity to further their footballing careers at the Tuks Sports High School. Vodacom decided to create a platform for the youth from all corners of South Africa to showcase their skills and talents. This saw many of the youngsters use technology to try and catch the attention of legends and Vodacom NXT LVL coaches Lucas Radebe and Mark Fish. It is rather difficult for talented young footballers to find an institution, or even to join a soccer academy, due to a variety of circumstances. With Vodacom providing this platform, it gave an opportunity to all those who were willing to take their talents to the next level. Soccer Laduma chatted to Vodacom NXT LVL mentor, Simphiwe ‘Shorty’ Dludlu, as she reflected on the campaign and shared some advice for the young stars. “The youngsters who did not make it to the top 32 need to realise that pressure can sometimes get the best of you. Sometimes you do not perform well when it is required from you – that’s normal for any person on any career path. They should not give up! Time is still on their side and they can grow up to be the footballer that they always dreamt of being. We might have made the decisions, but we are human and maybe we did not realise the talents that we let go. They should be encouraged by the fact that they managed to make the top 100. That means that there is some light at the end of the tunnel. They just need to be a little more committed and definitely work harder.